Covering both the Dutch and French sides of this beautiful island, a guided tour is a great way to see everything St. Martin has to offer. Get more than your feet wet snorkeling in the waters of St. Martin. 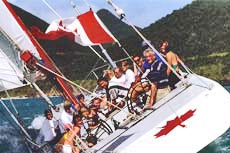 Take to the waters of St. Martin by sail and experience the thrill of the race. 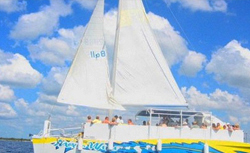 This guided See & Sea tour will show you all of the variety of St. Martin, from land to ocean. 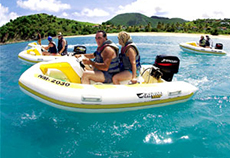 Board a catamaran and prepare for an excellent excursion as you tour tropical St. Martin -- it is sure to be an informative, relaxing and very enjoyable day. 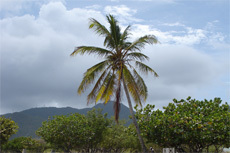 Visit the beautiful tropical paradise of St. Martin and go on an unforgettable guided city tour! 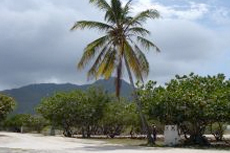 See St. Martin from a new and exciting perspective with a guided motorized vehicle tour! 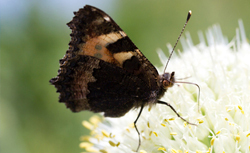 With locations in both St. Martin and Aruba, the Butterfly Farm houses hundreds of exotic species for your viewing pleasure. 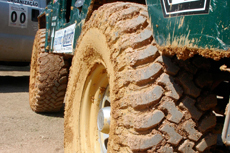 Using fully automatic All Terrain Vehicles, find some adventure on an off road path along the Caribbean sea. 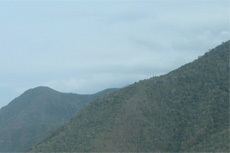 The Mountain Top Downhill Trek is a great way to actively experience the island of St. Martin. 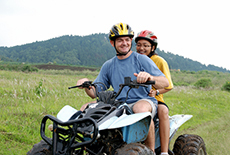 A St. Martin ATV Adventure is the ultimate way to explore the island with the added excitement of riding your own Sports ATV Quad bike. Travel both by road and off road to see the best of the French Side of St. Martin including stunning panoramic views of the mountains. 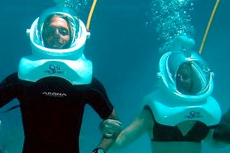 Trek underwater on a helmet dive excursion of St. Martin's ocean floor and experience the island's wondrous marine life and coral formations. 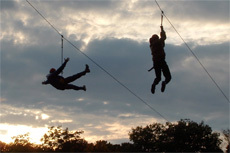 Have a blast soaring through the beautiful jungles of St. Martin on an exciting zip-lining excursion. 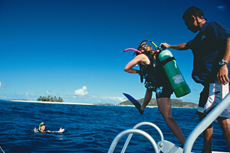 Dive St. Martin and enjoy the healthy reefs and/or interesting wrecks. Certified Open Water Scuba Divers only. 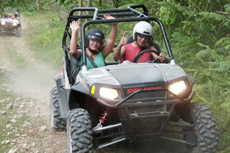 The Rhino Rider excursions are guided tours and are an adventurous way to explore St. Martin. Pilot a two person inflatable Rhino watercraft to skim across the Caribbean waters. Explore two colorful nations on one exotic island. Split down the middle centuries ago by two European powers, this isle offers 37 miles of natural beauty. Admire how the rugged coastline shelters silky crescents of sand framed by green undulating hills. 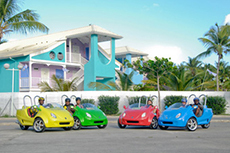 Traverse this island inside a three-wheeled, two-passenger convertible called a Scoot Coupe, and discover the St. Martin's rugged beauty and natural scenery in this fun and unusual way. Spend a port call exploring St. Martin (the French side of the island) and St. Maarten (the Dutch side) by Jeep; spots to see include Mullet Bay, Marigot and Orient Beach. 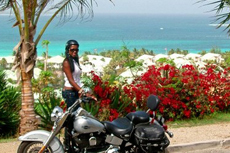 Discover St. Martin in the most unique way as you take to the roads on your very own motorcycle. 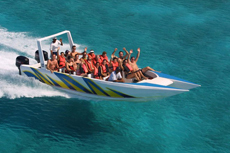 Arguably the most fun way to tour St. Martin, hop on a speed boat and cruise around the coastline for some spectacular mountainous and beach views. 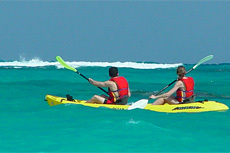 Have a blast in the beautiful waters of St. Martin on a kayaking expedition. 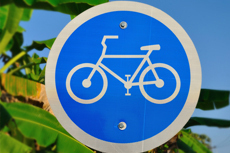 Coast through the island's mountains and tropical terrain on an active biking excursion from the cruise port in St. Martin. 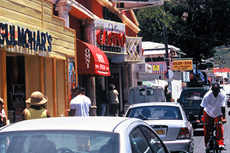 Shopping in Marigot: The city, an intriguing blend of small French town and Caribbean city, houses chic boutiques with fashions ranging from trendy to couture, as well as stores selling duty-free perfumes, crystal and jewelry. Don't miss the stunning architecture and interior design of Le West Indies Shopping Mall across from the terminal. It features bars, restaurants, a spa and 23 designer shops in the three-level facility. Other highlights include L'Occitane for Provencal soaps and lotions, Goldfinger for Rolex and Cartier jewelry, and Christian Lacroix, Lacoste and Diesel fashions throughout. Marina Port La Royale, a five-minute walk from the harbor, is a boutique shopping mecca for tourists and locals alike. Marigot Waterfront Market: This daily event along the harbor features a craft market, souvenir stalls and, on Wednesdays and Saturdays, a Caribbean food market where West Indian women in batik dresses and big straw hats sell spices, fruits and other produce. You can also watch fishermen scale their catches (mostly red snapper) using a broomstick lined with beer bottle caps. Grand Case: If you have enough time in port and don't mind renting a car and exploring independently, take a short drive up the coast to Grand Case for some fine cuisine. Once a fishing village, it's now an attraction to those who enjoy eating fish more than catching them. At the far end of town, you can get beach privileges at Grand Case Beach Club, and, if a casual lunch on the beach is more appealing than a fancy sit-down meal, try one of the lolos, little kiosks that serve barbecue and local seafood. For a more elaborate meal, Grand Case has a short main street where all 27 of the town's excellent restaurants can be found. Anguilla: This peaceful, British-affiliated island -- about a 25-minute ferry ride from Marigot -- is known for its gorgeous white-sand beaches and phenomenal gourmet restaurants. At the ferry terminal, you can catch a taxi to take you around the island. 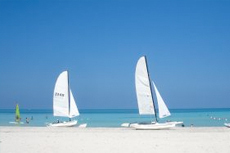 Most folks head straight to Shoal Bay East, full of activity and barbecue shacks that front tranquil waters. Another option, especially for foodies, is to ask a taxi driver to take you to Trattoria Tramonto, a fabulous waterfront Italian restaurant on Shoal Bay West. (The restaurant offers free lounge chairs for lunch guests.) Just make sure you arrange for the cabbie to pick you up again! Logistical note: Ferries operate between Marigot and Blowing Point (Anguilla) every 45 minutes, with the first ferry leaving Marigot at 8:15 a.m. and the last ferry at 7 p.m. Returns to Marigot from Blowing Point start at 7:30 a.m. with the last ferry at 6:15 p.m. The $15 ferry fee each way is paid in cash onboard. 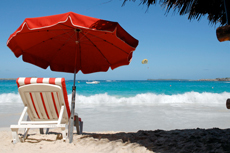 Both St. Martin and Anguilla charge small "departure" fees. It's critical that you bring your passport, or you'll be denied entry. 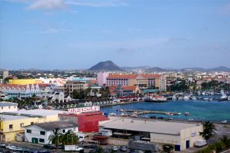 Philipsburg, St. Maarten: If shopping is your thing, then the main routes (Front and Back Streets), side streets, alleys and boardwalk of the Dutch side of the island are for you. These areas are filled with duty-free stores. Highlights include jewelry, electronics and liquor. (Be sure to check out the Guavaberry Emporium for a true taste-of-the-island souvenir.) If gambling is your thing, and you haven't gotten enough on your ship, you can try your luck at a host of casinos throughout St. Maarten. Most Popular: Almost every island tour includes a stop at Orient Bay, one of the Caribbean's more famous beaches. The curious can visit Club Orient, the naturist side of the beach. The rest of the beach is more conventional, and you'll find it packed with beach bars, watersports providers and souvenir shops. Best for Seclusion: With its nearly two miles of extra-wide sand beaches, Baie Lounge is gorgeous, never crowded and well-suited for the sun-worshipper who prefers privacy and quiet. Visitors can also take in million-dollar views of stunning villas or check out the ultra-chic La Samanna hotel. Best for Naturists: Laid-back Baie Rouge offers up a deserted pink-sand beach with calm waters perfect for swimming. The eastern end, near the entrance, is more popular, and bathing suits are the norm. The farther west you go, the fewer people (and suits) you'll see. Most Unique: French Cul de Sac is a little gem on the east (Atlantic) coast of St. Martin, perfect for a couple looking for a romantic getaway or a family looking for a kid-friendly beach experience. But the real draw there is Ilet Pinel, an uninhabited tiny island. (Some cruise lines offer shore excursions there.) Shuttle boats regularly make the five-minute crossing throughout the day. You can kick back on the beach, enjoy snorkeling on the near-shore reefs on either end of the island, and enjoy lunch in one of the island's two restaurants. Better yet, get your food to go and take it out on the beach for an impromptu picnic.